Mega! CO-OP Holiday Station and Travel Stop stores are pleased to announce a donation of over $2,000 combined through its fundraising efforts during the month of October as part of their “Co-op Month” celebrations. Member owned since 1935, Mega! CO-OP is celebrating National Co-op Month all month long. As a Co-op Member, you can take part in this celebration too. Below we have detailed the celebrations, services, giveaways, fundraisers, and more that we have compiled just for you as a thank you for being a valued Mega! CO-OP Member. Simply show/scan your Membership ID card at any Mega! 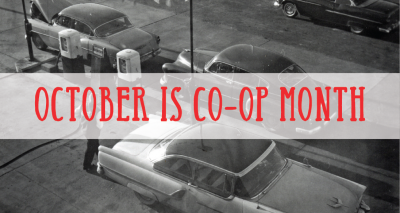 CO-OP Holiday or Travel Stop convenience store during October to take advantage of all of the fun! Mega! CO-OP Members can enjoy full service gas pumping and window washing at select Mega! CO-OP Holiday or Travel Stop convenience stores*. Let a Mega! CO-OP Team Member fill up your tank and wash your windows! Member Exclusive Emails, Community Giving Opportunities & More! Car Washes can be purchased Rain or Shine! You will receive a car wash code valid for 30 days, you can use it right away or save for later. Stop by and purchase a car wash to help raise funds for these great organizations. Tell your family & friends! Not purchasing a car wash or just want to make a monetary donation? No problem, ALL 30+ Mega! CO-OP locations will be accepting monetary donations, as well. Just let a Team Member know you want to donate!